217Beauty in New Jersey is a team of makeup artists, led by Liz Gizelle. Gizelle, as the website of 217Beauty says, has always been creative and she realized her passion for makeup while working for MAC cosmetics. During her time, as an artist working for MAC, Gizelle discovered two products that would become absolute favourites; the #217 MAC Blending Brush and Red Cherry#217 Lashes. Using 217 which when flipped spell her name, Liz Gizelle began her adventure in the makeup industry as an artist with her own business, 217Beauty. Airbrush makeup does clog the pores, but it allows the skin to breathe. As there is not direct contact between a brush or any other device and the skin, this method is more hygienic and safe. Traditional Makeup: Traditional makeup brings about a lot of different textures and finishes that can be used to produce a fresh, glowing look, especially for brides. One of the most important products that are used while doing traditional makeup is the foundation. 217Beauty test all their foundation types to see whether they can be applied on various skin types and what kind of effects can be achieved, how long they last and how heavy do they feel on the skin, and also whether they photograph well under brightly lighted conditions. Makeup Trials: often clients are not sure of what type of makeup they want to app; whether airbrush or traditional. To clear their doubts effectively, 217Beauty offers makeup trials, where all clients can apply both forms and see which is more suitable and comfortable for them. They can also do airbrush makeup on one half of their face and traditional makeup on the other, and then compare the two. Hair Design: 217Beauty boats of some of the best hair stylists who can style hair in a way that is perfect for the occasion. Hair styling trials are also offered so that the client is able to pick the perfect style. Eye Lashes and Hair Extensions: Eye lashes of various sizes and styles are offered to all clients and they last for about 10 days. Hair extensions are also available, and they are made from human hair that has been cut, shaped and dyed. Bridal Touch up Services: these VIP services are offered all brides and other members of the bridal party at an hourly rate. 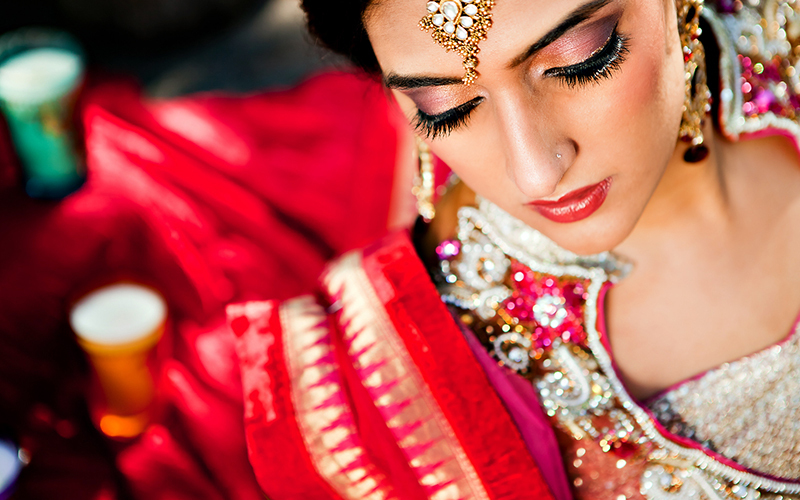 The bridal touch up service is for those who want to perfect their makeup before the ceremonies begin. On Set Hair and Makeup: 217Beauty cater to actors on film or television sets too, at daily rates, working on their makeup as required for the screen. 217Beauty mostly works with brides and bridal parties but they also extend their services to other clients. Through the testimonial posted on their website, it is clear that 217Beauty receives a lot of positive feedback for their punctual, profession work that delivers perfection. This team of confident makeup artists constantly tries out and test new products and provides a stress free makeup service to all clients.